Established in 2016, we provide premium quality materials for our clients’ architecture and interior projects. We are constantly looking forward to bring in innovated yet sustainable products, share the product knowledge and introduce fine quality materials to upgrade our local market and quality of our clients’ projects. We are the official dealer of InterfaceFLOR, pioneer in modular carpet tile. World leading brand, producing high quality carpet tiles & LVT using materials and processes that take less from the environment. Our second partner is global company Vescom, specialist in wallcovering, upholstery and curtain fabric. 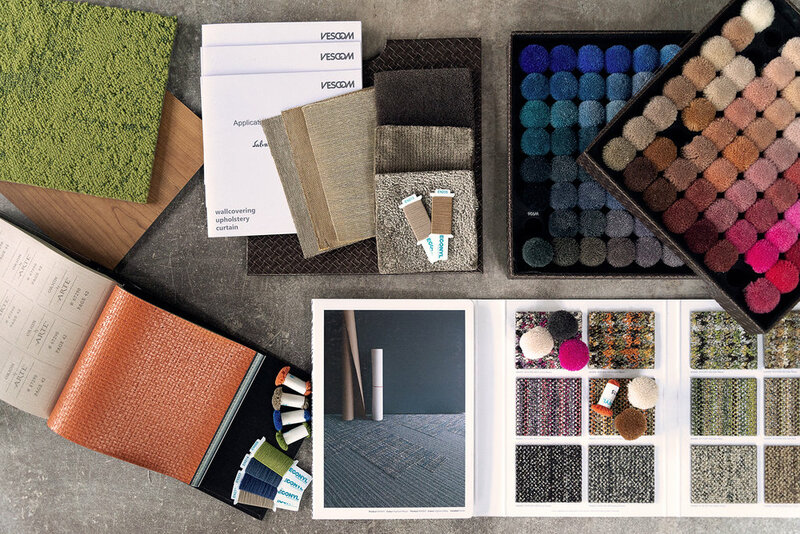 Netherland base Vescom develops, produces and distributes high-quality interior products for international contract market. Both products are aim toward commercial spaces and contract market. To expand our growing business to Residential and hospitality market, we collaborated with The Carpet Maker Thailand; luxury hand-tufted carpets & area rugs, exquisite craftsmanship produced by villagers in North-eastern Thailand. All custom made to order, according to your design with fine quality yarns. Our latest partner is Arte Wallpaper from Belgium , the passionate designer & manufacturer of ultimate in luxury, bold design and sophisticated wallcoverings. Suitable for luxury upscale projects. Besides supplying carpet and wallpaper, we also offer value-added service such as design and project management, supported by our strong background in architecture and interior design. We provide service of consultation, in terms of selection and specifying which type of flooring and wall covering that are suitable for your project according to the function, design, colors, pattern and other requirements. We also help you calculate quantity estimation and provide installation service to all our products with our team fully trained by the specialists of each product.